Darn Donuts is a specialty donut shop, located in the heart of Bay Ridge, that makes fresh, gourmet donuts daily. We specialize in taking ordinary donuts to the next level by adding the 'Darn Donuts' twist to them or what we like to say, we make them extraordonutary! We have over 25 different donut flavors to choose from, including: caramel apple pie donuts, cheesecake donuts, Brooklyn cream donut, key lime pie, Fruity pebble donuts, jelly donuts, vanilla cream & pistachio donut sandwiches, bay ridger (a vanilla custard cream filled donut), oreo fudge, cookies n cream, mocha coconut, pumpkin pie, salted caramel & pretzels, cookie crumble and much more. Owner of Darn Donuts, Mervat f.M. strives to serve the best donuts in town. 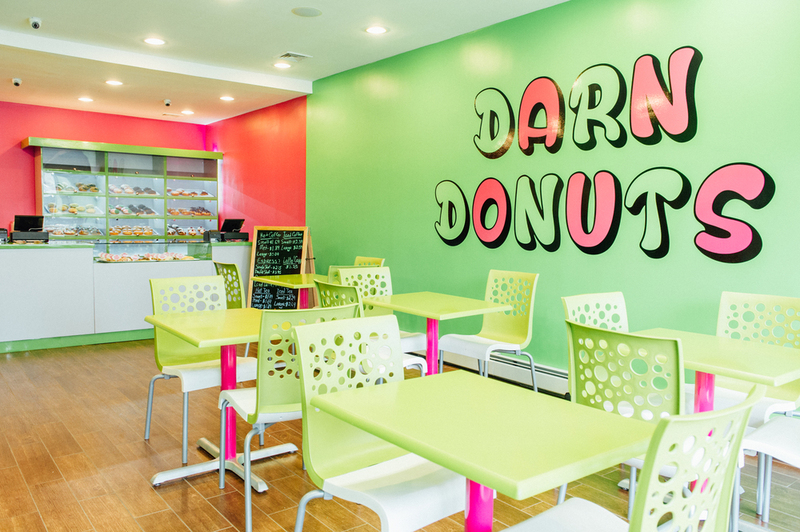 In addition to offering a large selection of donuts, Darn Donuts offers delicious fresh bagels made daily, crepes, waffles, and a VARIETY of beverages including coffee, lattes, cappuccinos, Macchiatos, frappes, milkshakes, and bottled juices/sodas. We're going to go to flavor town in 2017! JOIN US FOR THE RIDE! recommend some flavors you'd like to see in the new year and we'll try to make them happen!